The only hotel in the Iguaçu National Park guarantees exceptional views of Brazil’s biggest waterfall, and an off-the-grid hotel experience you’ll find nowhere else. Mornings at the Belmond Hotel das Cataratas are as close to heaven as a plane ticket can get you. Waking up to views of sculpted gardens jeweled with orchids and the sound of birdsong coming from the jungle canopy never gets old. Befitting the setting, there is plenty to do here for nature enthusiasts, from embarking on adventures in the Brazilian rainforest to tours of the falls at the break of dawn that culminate in energising early breakfasts. Not feeling adventurous? Never fear, whiling the days away in the waters of the pool with click-of-the-finger poolside service, or unwinding under the care of the therapists in the spa is a holiday well spent… In the evenings, the Ipe Grill’s juicy barbecue meats - some of the best in Brazil- come with our highest recommendations and the hotel’s signature Devil’s Throat cocktail, with our warnings for moderation... Jungle escapes don’t get more luxurious than this. 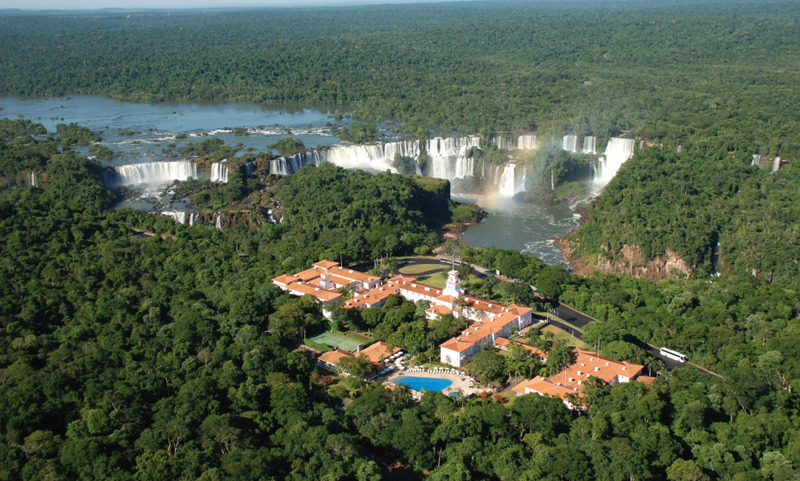 The only hotel located inside Iguassu National Park, a UNESCO Heritage Site. Exclusive access to some areas of the park, before opening and after closing hours. The Îpe Grill and its delicious Gaucho barbecues. It is a dream place. I think that I will be there again.